← Italian Appliance brands in the U.S.
Seth Godin's Oct. 20th blog. 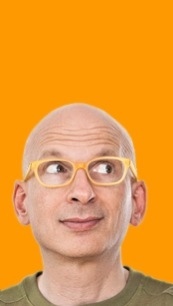 Marketing Guru Seth Godin has one of my favorite blogs. His Blog on Oct. 20th titled The Complaining Customer Doesn't Want a Refund is a classic. Big companies are so bogged down in process that even when they want to do the right thing they don't seem to be able to treat unhappy customers properly. If you want one to read more from Seth, I'd recommend his book. LINCHPIN. It's excellent. This entry was posted in Books, Business, Management and tagged blog, customers, management, marketing, retail, sales, Seth Godin. Bookmark the permalink.